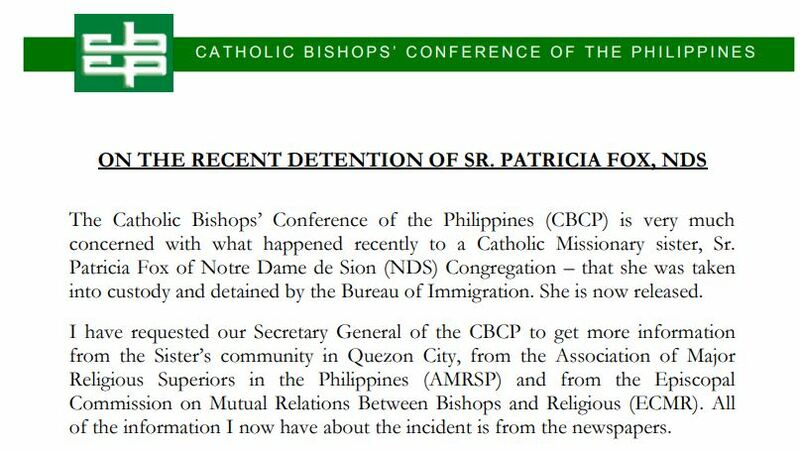 The Catholic Bishops’ Conference of the Philippines (CBCP) is very much concerned with what happened recently to a Catholic Missionary sister, Sr. Patricia Fox of Notre Dame de Sion (NDS) Congregation – that she was taken into custody and detained by the Bureau of Immigration. She is now released. 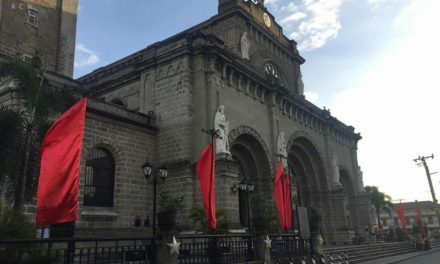 I have requested our Secretary General of the CBCP to get more information from the Sister’s community in Quezon City, from the Association of Major Religious Superiors in the Philippines (AMRSP) and from the Episcopal Commission on Mutual Relations Between Bishops and Religious (ECMR). 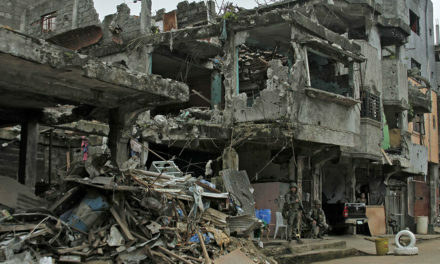 All of the information I now have about the incident is from the newspapers. I presume and hope she was treated well, that there was nothing irregular about the procedure done in her detention, and that her rights under our laws are respected. We will continue to pray for her, as I am sure, we did as soon as we heard of the news. 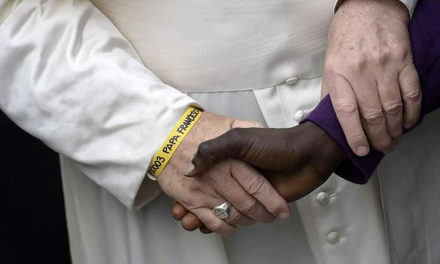 The CBCP would like to assure Sister Patricia Fox and her community that the CBCP is willing to extend any assistance and support we are able to give her and her community with regards to the situation.